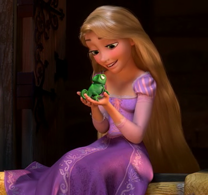 Hans,Rapunzel y Pascal. Hanunzel and Pascal. Wallpaper and background images in the disney crossover club tagged: photo hanunzel tangled frozen.